Yesterday we had reports that the rumoured Xbox upgrade would come in two models - a slim version for this year and one with a hardware upgrade for 2017. Now sources have apparently told Polygon just what the improvements involve. Currently the Xbox is estimated to run at about 1.32 teraflops (a measurement of processing power), while PS4 hits 1.84 teraflop. 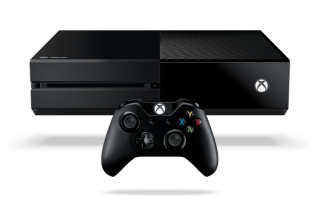 The rumours state that the new upgraded Xbox is aiming for 6 teraflops. Not only is that a huge jump on the current machine, it’s quite a bit higher than the PS4 Neo’s alleged 4.14 teraflops. Realistically, this makes the two consoles very different propositions for gamers. The new PS4 is meant to be an enhanced version of the current machine - offering better visual potential but with leaked Sony docs suggesting there’s no plan to split the user base into two different camps. That huge leap suggested for the new Xbox, apparently, codenamed Scorpio, makes it hard to see how old and new machines could exist together. That jump in power might be explained by earlier reports that it would be “technically capable of supporting the Oculus Rift”. While all this info should be classed as a rumour for the time being it suggests things could get very interesting come E3 when we’re all expecting a reveal. If Sony are aiming to enhance its hardware, while Xbox advances it, then there could be some big change next year.